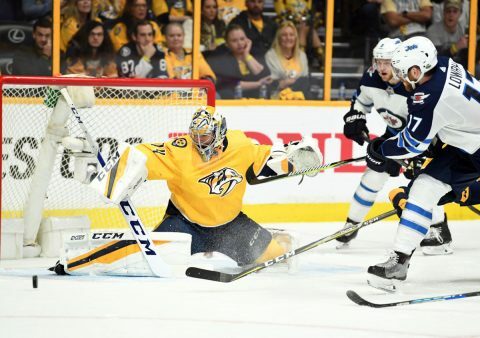 Nashville, Tn — The Nashville Predators will have to go back to Winnipeg and win a road game to stay alive in the Stanley Cup Playoffs after being schooled at home by the Jets tonight, 6-2. While the hockey “experts” continue to second guess head coach Peter Laviolette’s strategy for game five tonight, Winnipeg put on a clinic on how to attack the net and keep the pressure on Predators’ goalie, Pekka RInne. Rinne was pulled in the third period. Winnipeg got on the board first when Paul Stastny scored at 7:44 of the second period after a Patrik Laine shot was blocked by Rinne but the rebound fell at the feet of Stastny who scored, giving the Jets the early 1-0 lead. Nashville would come back though at 11:08 of the second when Yannick Weber scored an unassisted goal to tie the game at 1-1. The second period has never been kind to the Predators and tonight was no different, as Winnipeg would go on a scoring blitz. Kyle Connor would get his first goal of the playoffs at 12:30 of the second to put Winnipeg ahead, 2-1. Then Dustin Byfuglien would fire a rocket from the point that gave Winnipeg a two goal lead, 3-1. The Jets weren’t through yet. Kyle Connor scored his second goal of the night at 17:01 of the second frame and suddenly Winnipeg had a three goal lead at 4-1. 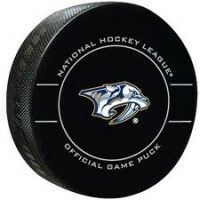 Ryan Johansen would give the Predators some life as his short handed, unassisted goal at 17:59 of the second period would draw Nashville to within 2, making the score, 4-2. But that would be all the Predators could muster on this night. Mark Scheifele would make it 5-2 just 28 seconds into the third period and Mathieu Perreault would give us our final score at 6:23 of the final period, 6-2. The series returns to Winnipeg on Monday night where the Predators MUST win to keep their playoff hopes alive.